If your house does not have a quality porch to greet you on a daily basis, you’re missing out. Quality porch and deck installations are often amazing sources of increasing your home’s value while also increasing functionality and overall enjoyment. While hiring professional deck builders in Fredericksburg is one amazing way of ensuring you receive an amazing outcome for your front porch designs, another option that is both rewarding and cost-effective is to purchase quality front porch building plans and complete the project yourself. 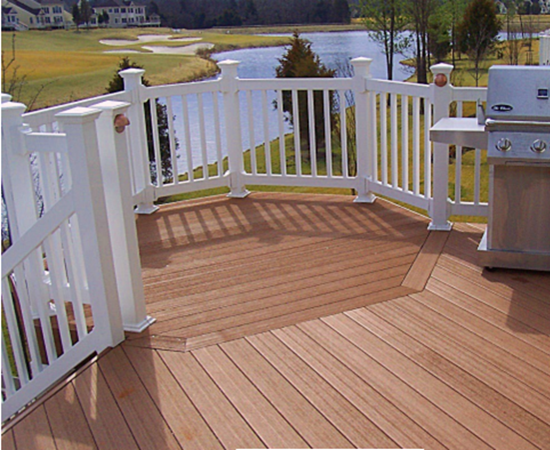 Virginia Decking & Remodeling happens to be a proud provider of both! 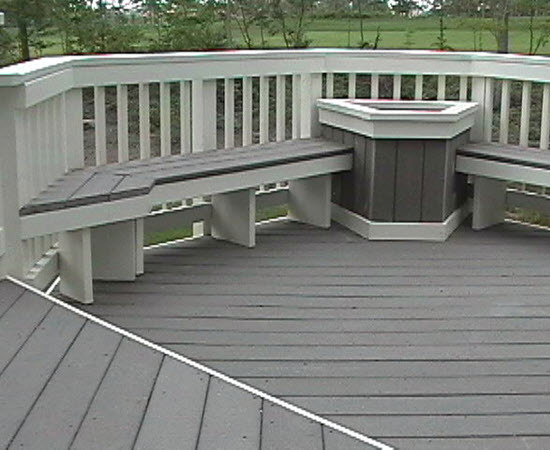 Our Virginia deck company aims to provide a comprehensive set of services to provide you with performance and quality every step of the way. From Stafford County to Fairfax County, our experienced team is ready to transform your property! Our top-notch patio builders are ready to beautify your property, from sturdy gazebos to concrete stamping and beyond. VA Deck’s porch and patio designers are also available to provide you with the plans needed to create a fully functional porch system that is crafted to provide decades of enjoyment. We’re just passionate about seeing your project succeed! 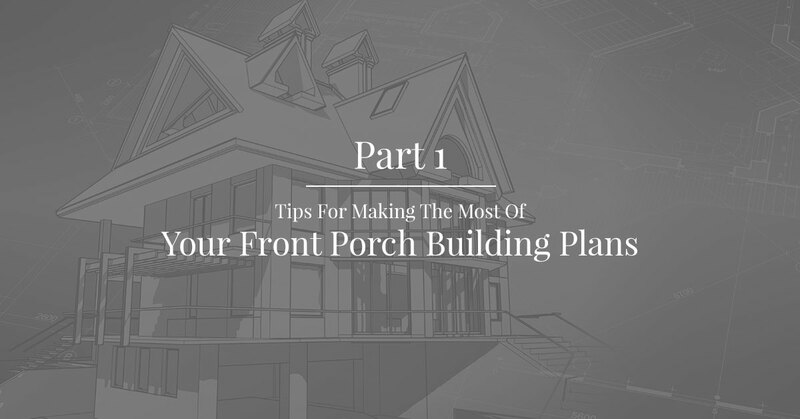 Today, we’ll look at a few basic building tips to help you make the most out of our back and front porch building plans. When done right, you’re sure to have a structure that improves the home exponentially. Be sure to contact us when you’re ready to get started! It’s important to place your porch in a way that does not interfere with the flow of the rest of the house. Daylight, for example, is one consideration that can doom any front porch project. If a front porch installation will block the sunshine coming into your living room, for example, it may be necessary to amend the original plan. Our team of designers create custom deck and porch plans, and we’ll be more than happy to arrive at your home to create a custom design that will perfectly fit your property! Sturdy footings are the best way to start your construction project. Failing to put in the proper efforts at this stage can equate to a sagging, sinking porch that will serve as an eyesore and a serious hazard. 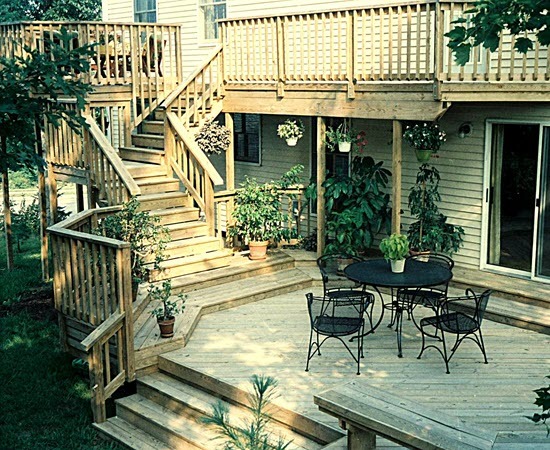 A lot of proper planning and precise work is necessary to ensure that your porch is built upon a sturdy foundation. One area that requires special attention is the geography of your location. Elements such as extensive freeze/thaw cycles and soil types can play a big role in your decision-making process in regards to local building codes. Properly preparing the foundation will help minimize the chance of anything going awry once your porch is built. The angle of and composition of your flooring are both important aspects to consider before breaking ground on your project and going to town. The slope of your porch is essential for protecting against water buildups and the subsequent damages that come with frequent flooding. Be sure that your floor and surrounding landscaping are sloped away from the structure. Even with quality framework and roofing, it’s still important to take the time to verify your angles before putting the floor in. When it comes to building a front porch, you generally have two methods of installing a floor. One consists of placing a slab on top of the subgrade, typically comprised of crushed gravel to minimize swelling and pumping. This floor can be finished with a variety of materials to match your home, including tiles, bricks, and stones. The other method for flooring utilizes beams that run below the surface that are elevated off of the ground on top of piers. Most homeowners will then place floorboards across these beams to frame the flooring. You can choose to utilize metal sheathing at this stage to pour an elevated concrete deck. The latter option is ideal for porches that will be elevated off of the ground by a considerable amount. When it comes to porch building, you as the homeowner will need to take a lot of elements and decisions under consideration before starting the project. Next time, we’ll continue to discuss tips that may prove helpful in designing and installing your own porch. 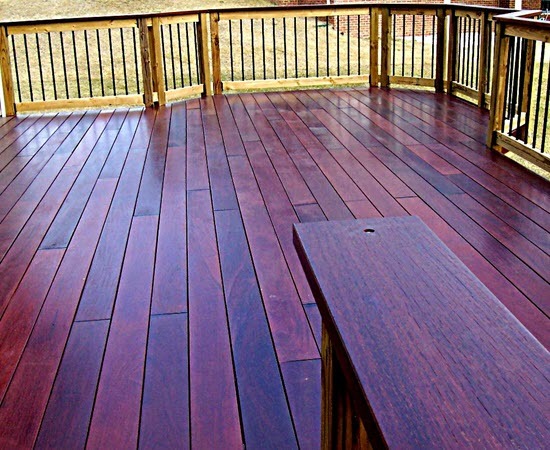 As Virginia’s professional deck builders and designers, we are all about creating the perfect addition to revolutionize the enjoyment of any home. From patio designs to deck framing and more, our team of experts are ready to help you with your project every step of the way. Contact us today to see how we can help!